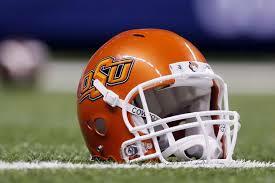 ESPN reported today that a Oklahoma State University football player was robbed, stabbed and kidnapped Monday. Cameron Hunter was stabbed and dragged into a green pickup truck, robbed and then dumped at a location in Stillwater around 5:30pm Monday. He suffered stab wounds in his abdomen and laceration on his arm. Police say there is a suspect but no arrests have been made. Hunter is home and doing fine according to his former coach John Walsh.